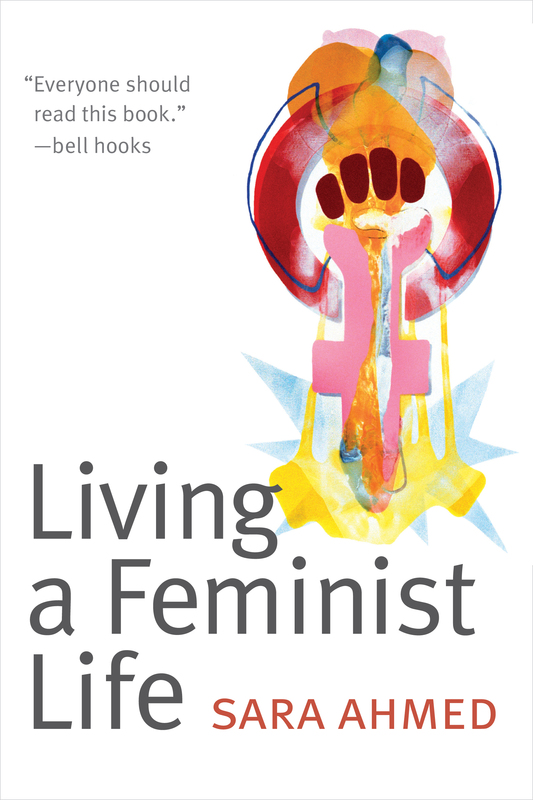 In Living a Feminist Life Sara Ahmed shows how feminist theory is generated from everyday life and the ordinary experiences of being a feminist at home and at work. Building on legacies of feminist of color scholarship in particular, Ahmed offers a poetic and personal meditation on how feminists become estranged from worlds they critiqueâ€”often by naming and calling attention to problemsâ€”and how feminists learn about worlds from their efforts to transform them. Ahmed also provides her most sustained commentary on the figure of the feminist killjoy introduced in her earlier work while showing how feminists create inventive solutionsâ€”such as forming support systemsâ€”to survive the shattering experiences of facing the walls of racism and sexism. The killjoy survival kit and killjoy manifesto, with which the book concludes, supply practical tools for how to live a feminist life, thereby strengthening the ties between the inventive creation of feminist theory and living a life that sustains it. Duke University Press | Paperback | 312pp | Now Available! Duke University Press | Paperbback | 256pp | Now Available! 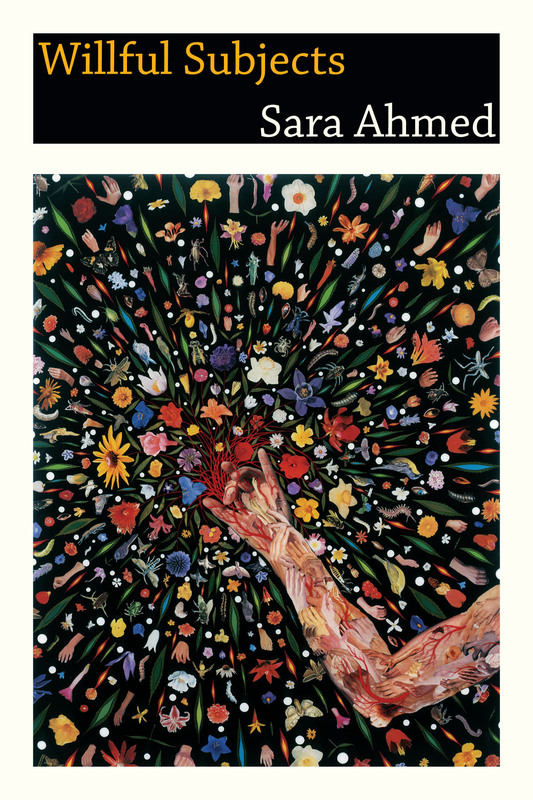 In this groundbreaking work, Sara Ahmed demonstrates how queer studies can put phenomenology to productive use. Focusing on the â€œorientationâ€� aspect of â€œsexual orientationâ€� and the â€œorientâ€� in â€œorientalism,â€� Ahmed examines what it means for bodies to be situated in space and time. Bodies take shape as they move through the world directing themselves toward or away from objects and others. Being â€œorientatedâ€� means feeling at home, knowing where one stands, or having certain objects within reach. Orientations affect what is proximate to the body or what can be reached. A queer phenomenology, Ahmed contends, reveals how social relations are arranged spatially, how queerness disrupts and reorders these relations by not following the accepted paths, and how a politics of disorientation puts other objects within reach, those that might, at first glance, seem awry. Ahmed proposes that a queer phenomenology might investigate not only how the concept of orientation is informed by phenomenology but also the orientation of phenomenology itself. Thus she reflects on the significance of the objects that appearâ€”and those that do notâ€”as signs of orientation in classic phenomenological texts such as Husserlâ€™s Ideas. In developing a queer model of orientations, she combines readings of phenomenological textsâ€”by Husserl, Heidegger, Merleau-Ponty, and Fanonâ€”with insights drawn from queer studies, feminist theory, critical race theory, Marxism, and psychoanalysis. 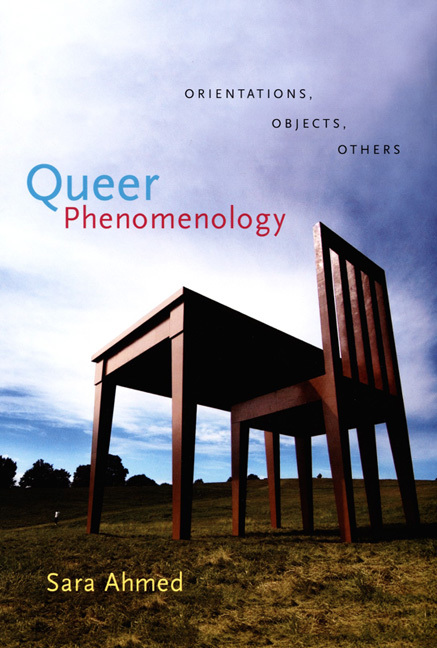 Queer Phenomenology points queer theory in bold new directions. Duke University Press| Paperback | 240pp | Now Available! 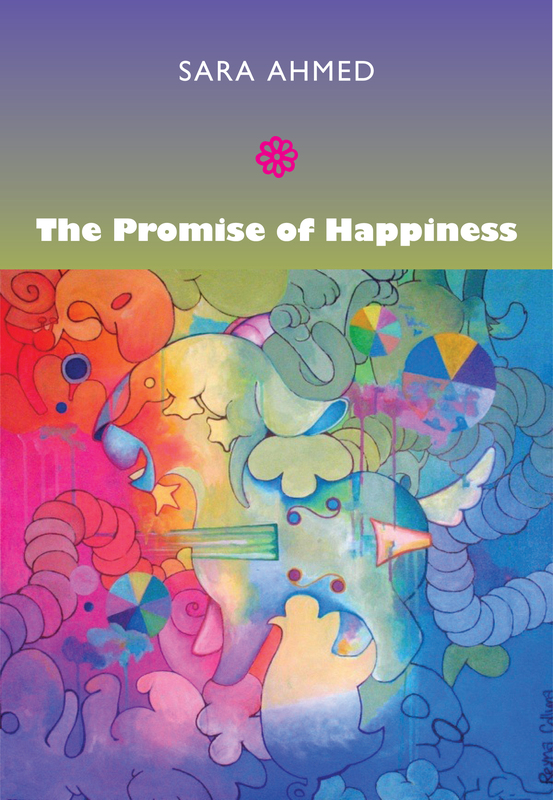 The Promise of Happiness is a provocative cultural critique of the imperative to be happy. It asks what follows when we make our desires and even our own happiness conditional on the happiness of others: â€œI just want you to be happyâ€�; â€œIâ€™m happy if youâ€™re happy.â€� Combining philosophy and feminist cultural studies, Sara Ahmed reveals the affective and moral work performed by the â€œhappiness duty,â€� the expectation that we will be made happy by taking part in that which is deemed good, and that by being happy ourselves, we will make others happy. Ahmed maintains that happiness is a promise that directs us toward certain life choices and away from others. Happiness is promised to those willing to live their lives in the right way. Introduction: Why Happiness, Why Now? 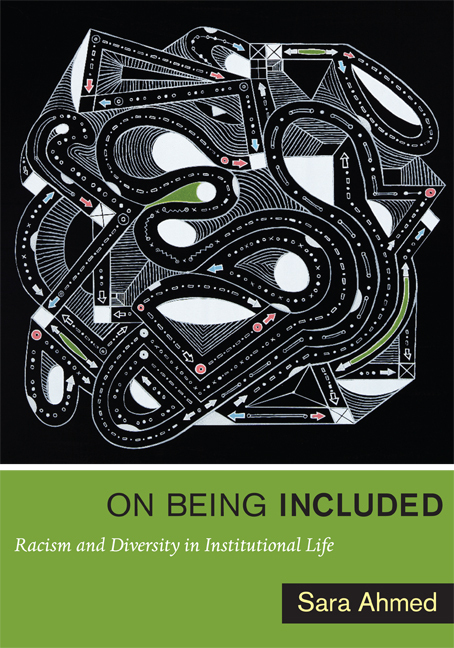 Duke University Press| Paperback | 328 | Now Available! Duke University Press| Paperback | 320 | Now Available!